The American institution of retirement has sustained numerous attacks over the last twenty years, to the extent that it may cease to exist by the time most of today’s workers reach their midsixties. Professor Patricia Dilley describes how all of the components of the “three-legged stool” that represents private pensions, personal savings, and Social Security, have declined so significantly in recent years that the combination may not be able to provide support for the elderly in the future, particularly those retired seniors who are in the lower and middle classes. Changes in employment policies, the markets for retirement savings investment, and the public policy surrounding the Social Security debate threaten the mainstays of golden years income upon which Americans have come to rely. Professor Dilley explains that previous civilizations were able to sustain the elderly members of their populations before retirement became the entitlement that it is today, but that the older members of those societies worked long past what is now deemed appropriate retirement ages and often relied upon family members or charity for support after they could no longer remain actively employed. She warns that unless retirement systems focus on a greater redistribution of resources from wealthy workers to poor ones, the lower- and middle-income work force will not be able to survive a retirement from work in their later years. 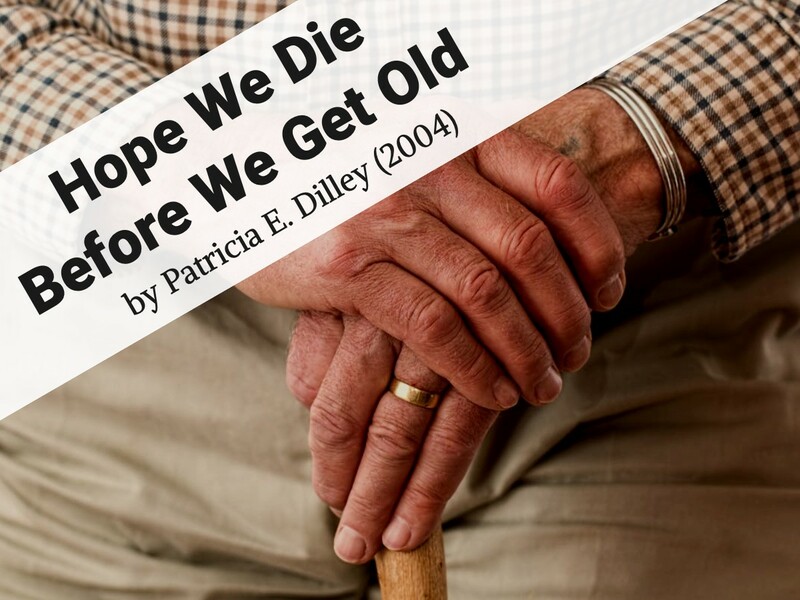 Further, Professor Dilley argues that modern society need not declare a particular “retirement age” and that the system may work better if the elderly work as long as they can before retiring to certain financial support for their final years. She concludes by suggesting a two-part, citizen-based reform program in which Social Security and social insurance would expand to fill in the gap left by shrinking employer-based pension plans while allowing individual decisions about when retirement is most appropriate for each worker. Patricia E. Dilley is a Professor of Law at the University of Florida Frederic G. Levin College of Law, teaching tax, pension, Social Security and elder law in the J.D. and Graduate Tax Programs. Professor Dilley worked on Social Security issues at the Committee on Ways and Means of the U.S. House of Representatives from 1981 to 1987, where she was one of the principal drafters of the 1983 Social Security Amendments. She has published extensively on pensions and Social Security. Professor Dilley thanks the College of Law for generous research grant support for the work on this article, and her research assistants Eugene Fowler and Thomas McLaughlin for their help. No thanks are owed to the combined efforts of Hurricanes Bonnie, Charley, Frances, Ivan, and Jeanne, in spite of whose devastating effects on Florida this article was completed in 2004.